Alternative raw materials, environmentally friendly processes, the living wage – there are many facets to the subject of sustainability. Textile Network spoke with representatives of four German textile companies in different fields and applications about the opportunities and challenges in the production of sustainable products. First analyse the current situation, then set milestones and goals – that is generally how it goes when a company is planning strategic transformation to a sustainable operation. Some then set their goals lower, others higher. "Implementing the living wage in production operations is a challenge, as we are reliant on the producer's transparency and cooperation. Long-term partnerships with our producers, based on trust, are enormously important." There is as yet no patent recipe for making the living wage a reality across the board. A tool that Jack Wolfskin finds useful is the 'wage ladder' produced by the FWF. This is an online tool that sets different benchmarks for a living wage, depending on the country and region, making it possible to determine whether the wage paid to workers by a given factory is really adequate. "This represents a good basis for communication with the factory about the wage levels that need to be achieved," says Kuntnawitz. Animal welfare is another factor to watch – in the present case, specifically that of geese. Goose down is a popular material in the outdoor sector. And from winter 2015, there will be a shift to the Responsible Down Standard promoted by Textile Exchange. "A core issue for us is the strict ban on the use of down plucked from live or force-fed birds," says Melanie Kuntnawitz. "We have therefore established close contacts with animal protection organisations such as the Austrian-based Four Paws, and we are actively engaged in a multi-stakeholder working group for sustainable down production." Naturally the correct treatment of animals is also a hot topic in the leather industry. But beyond this, the way animal products – in this case, the skins – are processed is also of key significance to any business that is seeking to make its production processes sustainable. Conventional leather tanning is not only a highly water- and energy-intensive process, it also creates heavily polluted waste water and other substances. How does leather manufacturer Christ tackle these problems? Primarily by means of complex and costly treatment of the polluted water. "After the tanning process, the waste water from our tannery passes through three separate purification processes," explains Katharina Christ, Executive Assistant at Christ. "First it is mechanically filtered, then chemically treated. It is then channelled into lagoons where it is biologically purified by the action of light and oxygen. Only then does it pass into the river." Since 1985, the company, based in Gondershausen in western Germany, has been operating all its tanning processes at a tannery in Uruguay. Samples of the waste water are taken daily for monitoring purposes and once a week are sent back to Germany. Christ has already won awards from a number of environmental organisations and research institutes for its sustainable production methods. In the field of energy efficiency, the tannery in San José was awarded the ECO2L (energy controlled leather) certificate in 2014. Innovative solar technology and the company's own eucalyptus plantation in the grounds of the tannery support its resource-efficient leather processing, allowing the company to dispense with the use of mineral oil and other fossil fuels in producing the hot water required for the tanning process. The water, preheated by solar energy, is brought up to the right temperature by burning woodchips – a process that requires 10% less energy than conventional methods. The woodchips come from the company's plantation, which also offsets the CO2 emitted by the tannery. 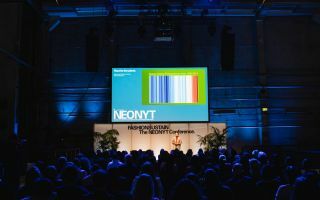 "As far as energy efficiency is concerned, I feel we are undoubted pioneers," remarks Katharina Christ, "and that is something that cannot be taken for granted in the leather clothing industry." Manufacturers of technical textiles are also putting their faith in plants. For example, while Christ is using wood as an energy source, Mattes &Ammann, based in the southern German region of Swabia, is developing products based on alternative natural fibres. Certified to GOTS and Oeko-Tex 100 standards, they have specialised in producing technical textiles from alternative raw materials such as nettle fibres. Werner Moser, Deputy Managing Director, explains: "In our opinion, where natural fibres are concerned, it is important that they should be grown in the most environmentally friendly way they can. That means as little irrigation as possible, but also using as few pesticides as possible – hence our project with nettle fibres." 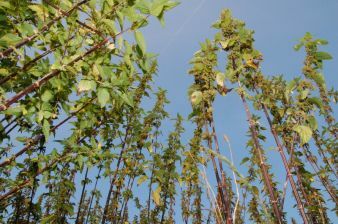 Since 2011, nettles have been grown in fields in the Swabian Alb and in Hungary. Linen and hemp, however, are also relevant to the manufacture of technical textiles. "These old European crops," says Moser, "are of particular interest to us." But he is well aware of the problems that innovative projects entail: the fact that customers are seeking sustainable products but are not always prepared to pay more for them. "Essentially, with our customers we're pushing at an open door. But again and again we are met with a distinct gap between intellectual understanding and actual buying behaviour." Alternative products, though, do have their price. 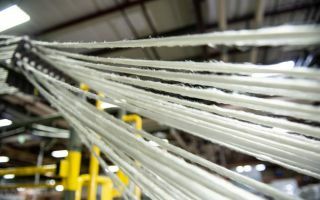 As Moser explains, "The fibres that are available in high volumes on the market have undergone years – decades, even – of cost optimisation. Ecological damage is not costed into the price of the products." This is a problem that is equally apparent in other sectors, as Katharina Christ is well aware: "On the German market in particular, price is crucial. But a clean product has got to be worth the money." Clean textiles also matter to hotel guests. Cleanliness in terms of hygiene goes without saying where bedclothes, towels and tablecloths are concerned but clean, sustainable production is becoming increasingly important, too. So it is for Dibella, a company that specialises in commercial textiles for the hospitality and health sectors. Under the slogan 'long life textiles', Dibella is working on sustainable solutions to the specific requirements of these sectors. 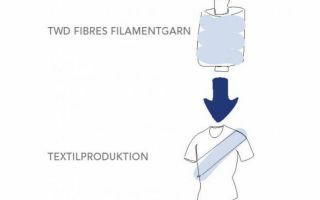 "We are currently in the testing phase of a cradle-to-grave fabric consisting of 50% Tencel and 50% biodegradable bio-polymers," explains Managing Director Ralf Hellmann. "This allows us to meet three of the most important requirements that our customers have: textiles that are quick-drying, long-lasting and recyclable." For Hellmann, sustainability is one of the most important aspects of his company. In 2010, Dibella signed up to the UN Global Compact, since when it has been focusing ever more heavily on eco-friendly production methods. Its 'Breeze' range of linens – 100% organic cotton, certified by Fairtrade and GOTS – is already available on the European market. Is it possible to imagine that the whole company could switch to organic fabrics, despite the possibility of rising prices? "Our aim is to manufacture all our products to the highest standards and to switch all of our raw materials," affirms Hellmann. "But due to their higher cost, the market is not yet ready for that." The company is currently in the process of gradually switching from conventional to fair-trade organic cotton. Thus Dibella offers on the one hand a high quality, certified range, while for all other collections it strives to maintain the highest possible standards and aims gradually to replace conventional with sustainable cotton. "In place of conventional cotton, we can now mix in fairly traded organic cotton under the terms of the Fairtrade Cotton Program," says Hellmann. "The final product isn't a 100% fair-trade product but we have increased our use of sustainable cotton." Although such products cannot be labelled as Fairtrade products, they do consist chiefly of ecological and fairly farmed materials, and they are less expensive. "In Europe," Hellmann notes, "a clear North-South divide can be identified. Interest is significantly higher in Scandinavia and the Netherlands, with Germany trailing along slightly behind. It is, and will remain, a price-sensitive market." One thing is clear to Ralf Hellmann: "To us, GOTS- and Fairtrade-certified products are the Rolls Royce of textiles. They don't come more sustainable than that." In order to expand the scope for this standard, in 2014, together with MIP Europe, Greiff Mode and Unifi, the company formed the MaxTex association (maxtex.info). At the beginning of the year, the association joined the Confederation for Sustainable Textiles created by the German Federal Ministry for Economic Cooperation and Development and it is working hard to shift awareness in the market, increasing sustainability across the whole of the production chain – not only within the company itself but also among textile service providers, related industries and, of course, consumers. For them, and for many others, sustainability is not a pipe dream for out-of-touch Rolls Royce lovers but a worthwhile investment.